Paulie Malignaggi was an unknown figure in the world of MMA. But then, Conor McGregor brought him for a training session while he was preparing for a boxing match versus Floyd Mayweather Jr. But here was the problem – unflattering sparring session photos leaked, showing Paulie Malignaggi on the canvas! Look at the video below! What a great punch combo by McGregor and Malignaggi goes down! Since this beef, both fighters went back and forth on social media sooo many times. Paulie Malignaggi is sure he’d beat Conor McGregor hard and send him to the hospital. Paulie Malignaggi continued trashing Conor. According to Malignaggi, “The Mystic Mac” looks for free money because he is aware that his time on the top is closing to an end. “McGregor’s trying all that he can to keep himself relevant as best he can – even going as far as calling out the Japanese featherweight Nasukawa. That guy just did an exhibition with Floyd Mayweather – I don’t think he was intending to fight guys as big as Floyd and Conor, that physically big – he’s a very small guy. It was a one-off situation. Conor’s not the same – he’s not Floyd Mayweather. “Floyd Mayweather doesn’t lose – Conor loses every year. So I think Conor twisted up the roles a little bit. He got a bit confused – he forget he was Conor ‘McQuitter’ and thought he was Floyd Mayweather for a second where he could just walk into the free money. Guys like Floyd earn that kind of thing. Great challenge by Paulie Malignaggi, but it is hard to expect Conor McGregor would return to boxing and accept this fight. After all, The Irishman targets big names and monstrous paychecks. But let’s be optimistic. 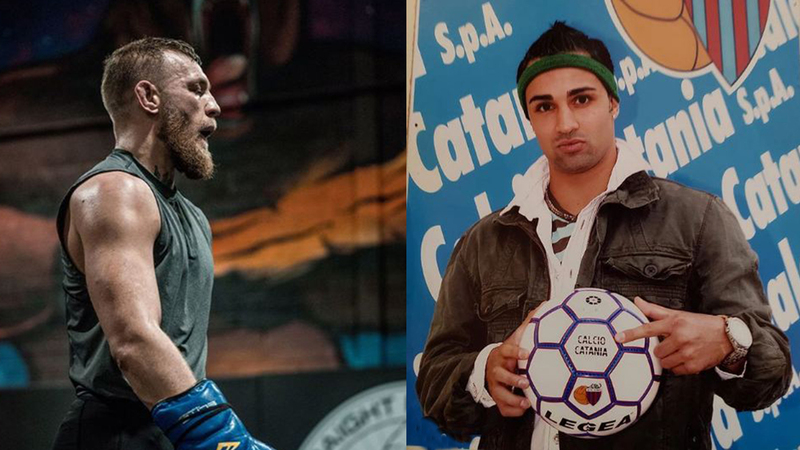 Do you think Malignaggi Vs McGregor might come to fruition?